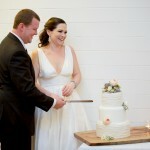 Today’s cake travelled to Mount Isa for a September wedding this year. 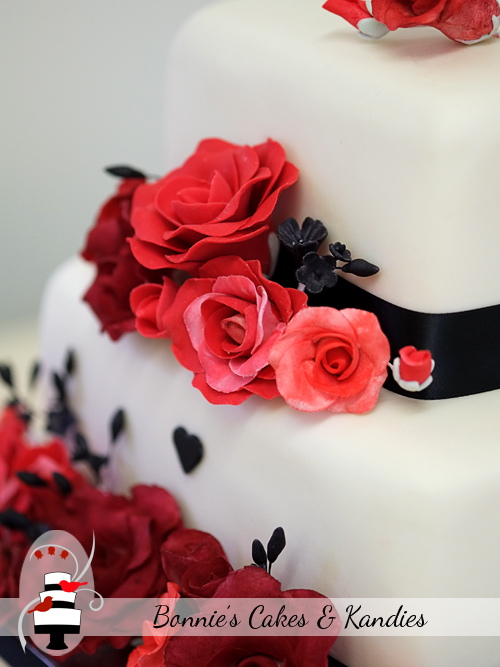 The lovely bride wanted a romantic and elegant wedding cake, with the design incorporating an ivory, red, and black colour scheme. 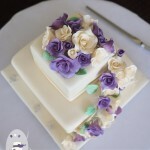 With their classic beauty and elegance, I suggested icing roses the main feature for this cake. I coloured the roses in a variety of shades of red to avoid a colour block, and to add interest to the design. 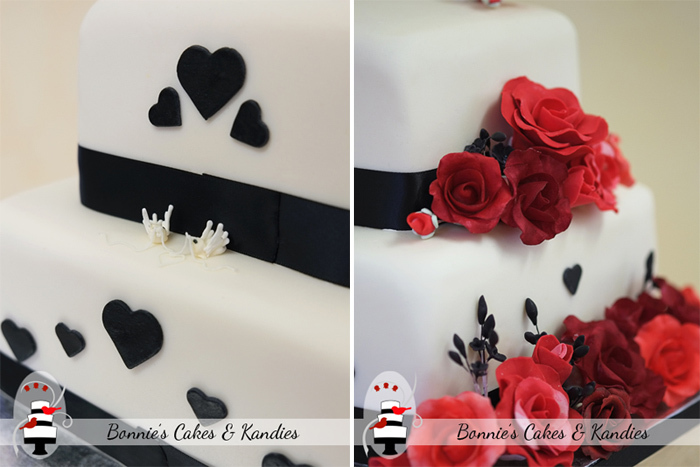 As an extra feature, edible black hearts were added at the suggestion of the bride. 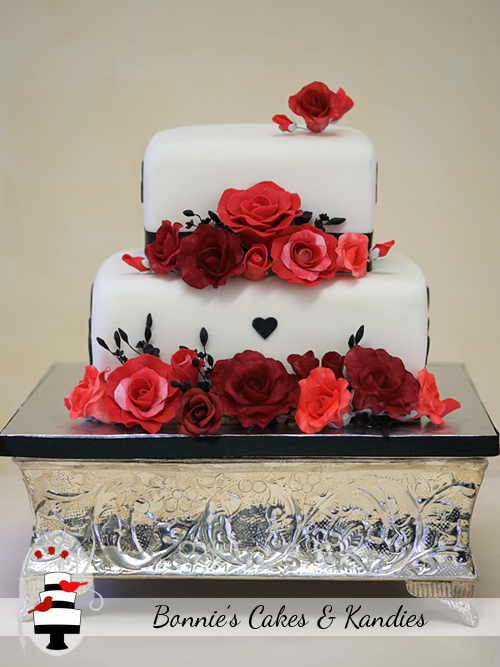 I was very happy with how the one single heart on the front of the cake tied in the design on the other three sides, without taking away from the roses as the main feature. 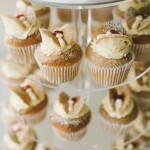 Both tiers were covered in white chocolate fondant and each tier was a separate flavour. The bottom tier was made in macadamia cake with a white chocolate buttercream filling, and the top tier was lime and coconut cake. 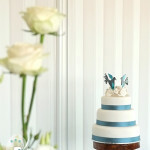 Displayed here on one of my silver plateau cake stands (available for hire), all that’s missing from the photo below is the gorgeous cake topper chosen by the bride and groom. 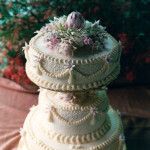 The rose and rosebuds on the top of the top tier were positioned to curve around the front of the topper once it was in place. 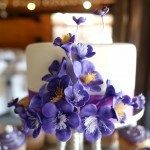 I really enjoyed working with the bride to create the design for today’s cake. Ivory, red, and black – check. Romantic and elegant? Well, I think so! What do you think? Congratulations and best wishes to the bride and groom.